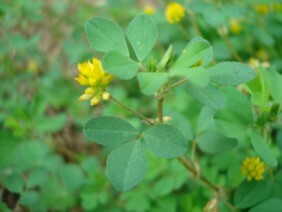 Small Hop Clover is also known as Lesser Trefoil, Suckling Clover, or Least Hop Trefoil. 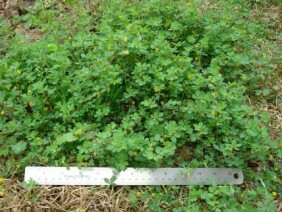 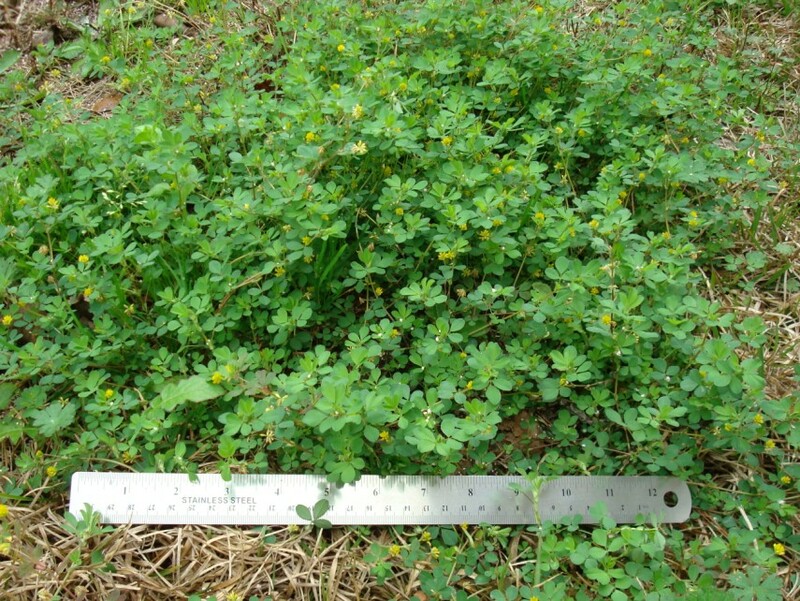 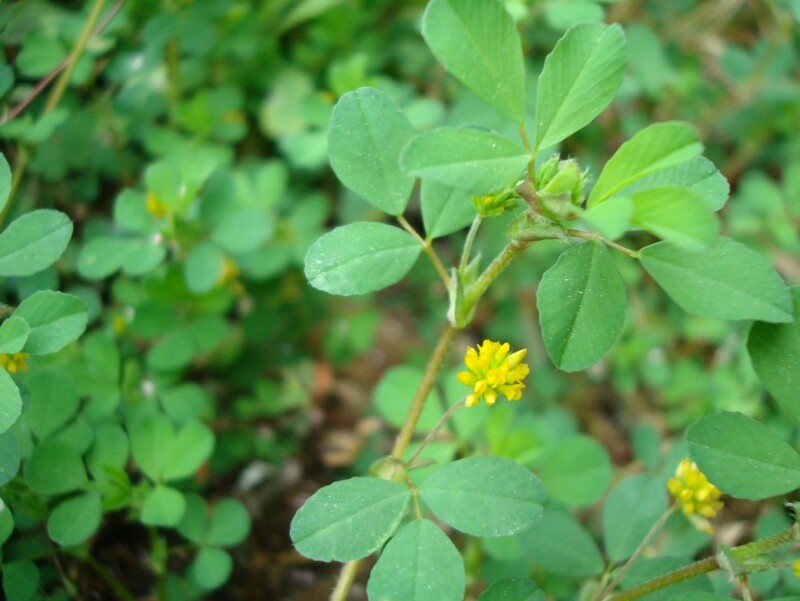 As all of these names indicate, this species of clover has small leaves and flowers. 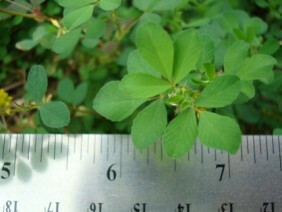 It can form large mats in the early spring. This plant was photographed in West Mobile.